Mumbai, also known as Bombay, is the state capital of Maharashtra. The name Mumbai refers to goddess Maha Amba or Mumba.As it is situated on the west coastal region of India, Mumbai is surrounded with beautiful and wonderful beaches. These all beaches are nothing but the part of the Arabian Sea which surrounds the Mumbai city. I have been living in Mumbai since my birth, as I am born and brought up in this metro city only. Being a mumbaikar, I had seen this city very closely and felt each and every place of here. Mumbai is the city that never sleeps. That is, the people in this city are 24/7 occupied with work and that’s what keep city awake always. Considering the population Mumbai is ranked 8th in world. Hence, for keeping these Mumbaikars fresh and happening, Mumbai city has blessed them with mind relaxing and calming beaches. Yes, they are mind relaxing because anyone can spend as much time they want to spend on beaches in order to make themselves a chill out from this heavily filled up hectic life. And believe me I can tell this surely as this is from my own personal experience. Thus, I thought to share with you the topmost beaches in Mumbai that will totally make you a fresh and chilled person again. Chowpatti - It is known to be most popular beach in the city. It is also called as Girgoan Chowpatti as it falls under Girgoan area of South Mumbai. Reason behind the popularity of this beach is that, it is famous for the favourite festival of Mumbaikars i.e Ganesh Chaturthi where people from different places come to immerse (do visarjan) their lord Ganesh into water. Beside this, you will also find this beach surrounded by lots of chat corner and food court. You will get the best Pav Bhaji here. You will get some vendors who offer a mat (chatai) on rent on Rs10/-mat which helps you sit at beach for hours enjoying the wave and environment without getting dirty. Marine Drive - Marine Drive also known as the Queen's Necklace because, if we see it anywhere from above, the street lights resemble a string of pearls in a necklace. Big crowd of people come here to have walk, seat here, to watch sunset and sunrise and simply relax by exploring scenic beauty. Officially, Marine drive is Netaji Subhash Chandra Bose road which is 4.3km C-shaped, six-lane long concrete road along the coast. You will find this place filled with people 24/7. Dadar Chowpatti - It is at a walk able distance from Shivaji Park, Dadar and hence also known to be Shivaji Park Chowpatti. It is small and less crowded rocky beach with little sand around. People come here to enjoy silence, breeze, sunset and the great view of Bandra Worli Sea Link Bridge. Juhu Beach – Juhu falls under Juhu area which is situated between Santacruz and vile parle. At the entrance only you will come across the food court consisting of all the mumbaya style food. You will get the best Gola, the desert cuisine here. Horse ride is offered at low cost ticket. Madh Island - It is situated in the area of Malad. A bus or autorikshaw can be taken to get down at Madh Island. It is one of the cleanest beaches in the state. You can find the local fishermen communities which are situated at the seashore. You can also groove on the beats and tunes of DJs played on this beach. The Madh Island Beach is a famous destination for the shooting of films and if you are lucky enough, you might get to see your favourite superstar. Tourists can enjoy the superb view of the beach, or get relaxed at the spa or can taste some tasty 5-star gourmet dishes. Aksa Beach - Aksa beach is a vacation spot in Aksa village which situated in Malad, North Mumbai. It is situated close to Malvani. This beach is one of the most silent and least visited beaches in the city. It is very clean beach. You can find varieties of snails and shells. It is a great place to spend holidays with our mates. Many Hotels and cottages are available on rent for tourists and visitors. 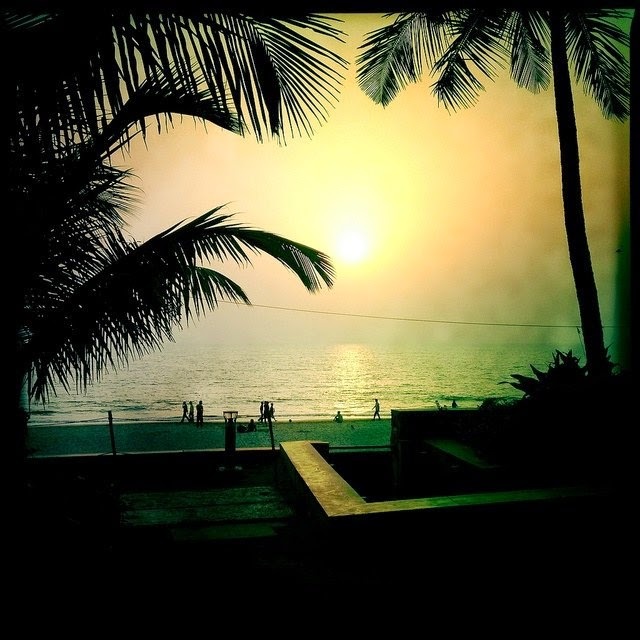 Versova Beach - The Versova beach faces Arabian Sea and is situated at the north of Mumbai in the area of Andheri. It was part of the Portuguese empire which was latterly won by Marathas. You will get to see a huge population of fishing community of Mumbai. One part of beach is the residence of fishing people known to be kolis. Fishing is the primary occupation carried out in this area. However, there are many more beaches in city to explore but these are the best one and the must one to be visited. And, I assure you that these beaches will definitely help you to rejoice your life again.